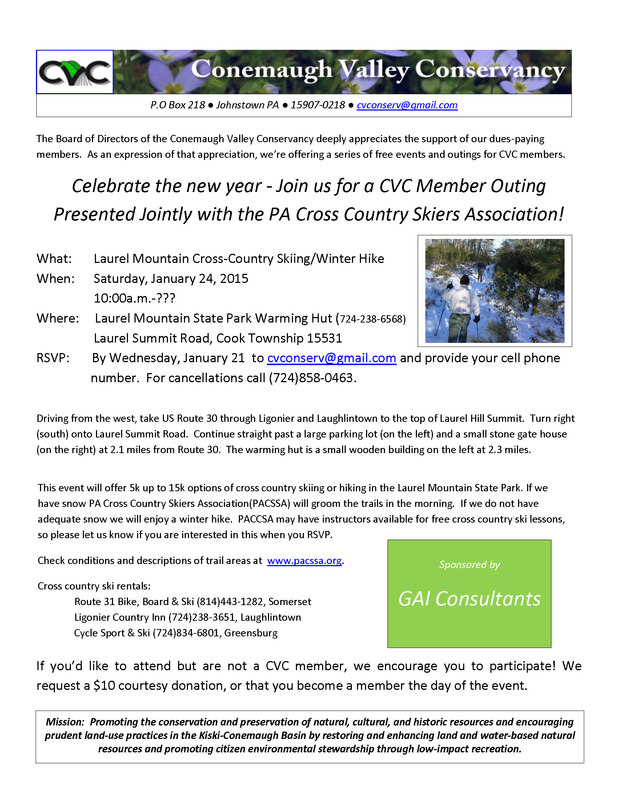 Start your new year off with a joint outing with our friends at the Conemaugh Valley Conservancy at Laurel Mountain. This is the second year for this event and last year was a blast. Come out and join the fun skiing, snowshoeing, hiking, or just being outdoors with old and new friends. Keep doing that snow dance. Where: Laurel Mountain Summit Road warming hut. What: A can't miss outing of outdoor enthusiasts, skiers, snowshoers, hikers.